The 67th annual NBA All-Star Game was decided in the final seconds as Team LeBron narrowly escaped with a 148-145 win over Team Stephen at the Staples Centre Sunday night. In attempts to raise the competitiveness, this year’s All-Star Game saw a format change. Instead of playing conference versus conference like previous years, a pool of players were chosen by the fans and the two players with the most votes drafted their respective teams as the captains. Those players were LeBron James and Stephen Curry. In an effort to make the game more desirable for the participants, each member of the winning team would receive $100,000 while the players from the losing team would receive $25,000 each. DeMarcus Cousins, Kevin Love, Kristaps Porzingis and John Wall from Team LeBron were unable to participate due to injury, but Paul George, Andre Drummond, Goran Dragic and Kemba Walker were able to step in. In arguably the most competitive All-Star Game in years, both teams actually made an effort to play some defence. Dwane Casey, Team LeBron’s head coach, said before the game that he would only play those that wanted to compete. Lucky for him his players locked down defensively to make a marvelous comeback late in the game. Down 11 with just over five minutes to play, Team LeBron went on a 19-8 run to tie the game at 144 with 1:30 remaining. Team Stephen would then miss their last four shots, and James and Kevin Durant left Team Stephen scrambling to get a shot off with 10 seconds left on the clock. #TeamLeBron with the clutch defense to win the #NBAAllStar Game!!! When all was set and done, James was crowned Kia All-Star Game MVP for the third time in his career. He put up a game-high 29 points, 10 rebounds and 8 assists. It was the poor shooting of James Harden and Stephen Curry that would allow for a late run from Team LeBron as they both combined for a horrendous 9-35 from the field. Though the All-Star Game was the centre of attention, Fergie received flack online for her rendition of the U.S. national anthem. Many players and celebrities in the crowd were caught trying to hold in their laughter during a performance that turned a lot of heads. 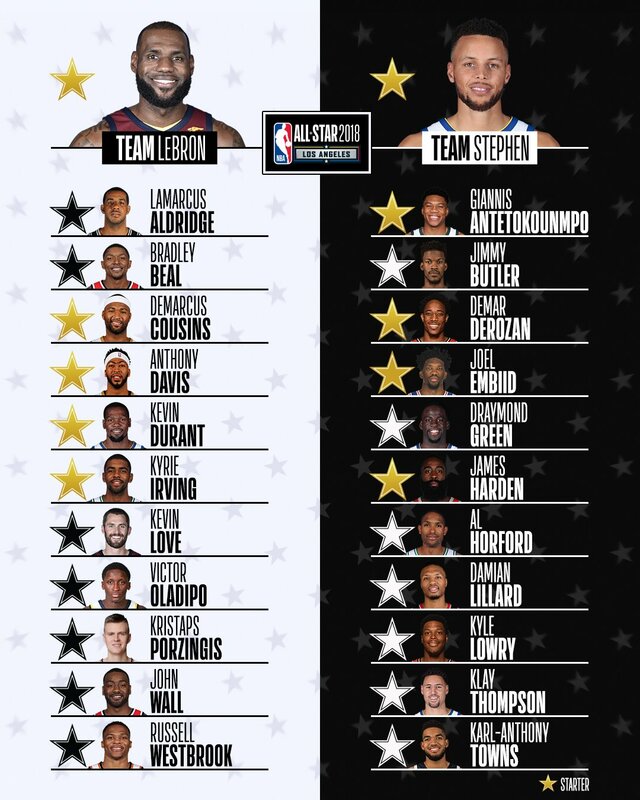 Did you watch the NBA All-Star Game? What did you think of the result? Let us know in the comments below or via Twitter.